The New York Yankees and the Toronto Blue Jays continue their four-game set into the weekend tonight with the second game of the series inside Yankee Stadium. In the first matchup we watched as CC Sabathia and Aaron Sanchez squared off in a battle of the future for Toronto and the veteran presence for New York, and tonight we will all be entertained by an equally interesting matchup. 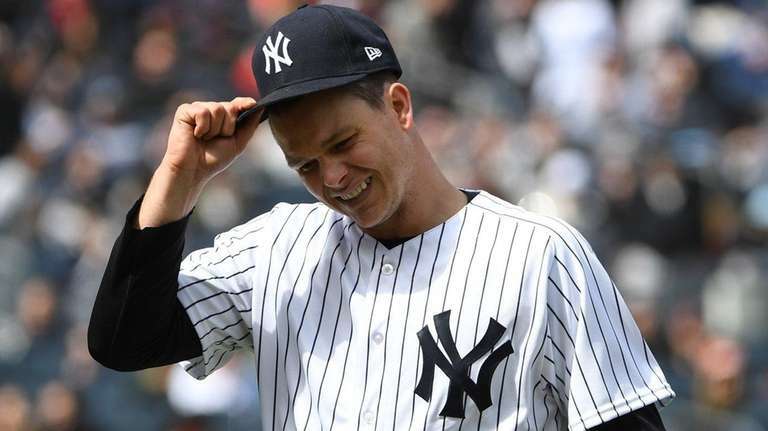 Tonight the Yankees will send Sonny Gray to the mound to face off against Marco Estrada for the Blue Jays. Always fun against the Blue Jays, so let’s get to it in the Bronx. Gray has reportedly been working on mechanical adjustments with pitching coach Larry Rothschild after the Boston Red Sox beat up on him in his last start to the tune of six runs allowed over three innings of work. In the start previous to his disaster in Boston the Yankees right-hander allowed just one run in four innings of work in Toronto while striking out eight. Estrada had to leave his last start due to back spasms despite having a no-hitter going into the fourth inning. Estrada had trouble following through on his delivery in that start after the spasms began, but the team doctors have cleared him for his start tonight in the Bronx. The game will be played at 7:05 pm ET inside Yankee Stadium and can be seen on the YES Network locally and MLB Network if you are out of the Yankees market. You can also follow along with the game on MLB TV, the MLB At-Bat app or by tuning into the Yankees radio broadcast with John Sterling and Suzyn Waldman on WFAN. Enjoy the game, put up some crooked numbers, and go Yankees! !